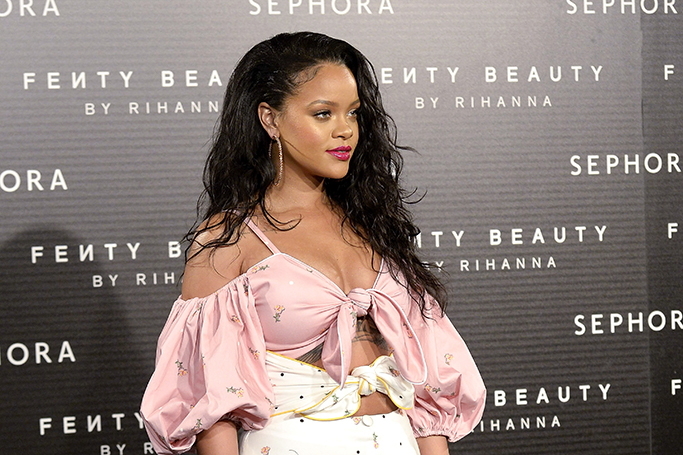 Rihanna announced on her official Twitter account that her inclusive Fenty Beauty products are about to arrive in Saudi Arabia, and social media couldn’t be happier! Saudi’s Sephora stores will launch Rihanna’s Fenty Beauty line on April 19th, as the Kingdom will finally be able to purchase the makeup range for all skin tones, with ease. The beauty news follows Fenty Beauty’s latest launch of the Body Lava luminizer, as Rihanna’s #BeachPlease range is now available –that's your summer beauty buys sorted! Rihanna is launching her acclaimed cosmetics brand, which was named 2017’s best innovation by Time, in Saudi Arabia due to its success in the UAE, Bahrain and Kuwait. Although some Rihanna fans are thanking her Saudi Arabian boyfriend, Hassan Jameel, for the news!